Promotional merchandise works. And it’s easy to see why. You can use it to generate buzz around your business launch, draw traffic to your stand at promotional events or simply create goodwill towards your brand. But more importantly, promotional merchandise sticks around long after a traditional advertising campaign has finished and leaves a lasting message for months or even years to come. At Lemon Fish, we know you want effective promotional merchandise that’ll boost awareness, reinforce your messages and complement a wider promotional campaign. But problem you get with many suppliers is the minimum order amount or the hefty set-up fees they charge. So if you only need only a few items they bump up your costs or leave you with excess stock that nobody wants. Either way, it’ll make a serious dent to your return on investment. That’s why at Lemon Fish you can say goodbye to minimum orders. You can place any size of order – from a one-off personalisation to a batch that runs into thousands. And if you want more we’ll print more – as and when you need them. We can design your artwork for you. Or supply your own and we’ll do the rest. We do everything in-house. So our turnaround times are super fast. 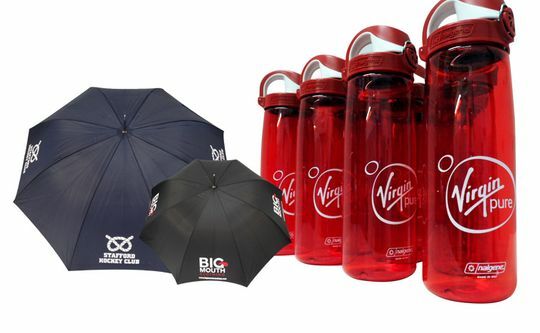 And that means whenever you want promotional merchandise in a hurry you don’t have to wait weeks to get your order.